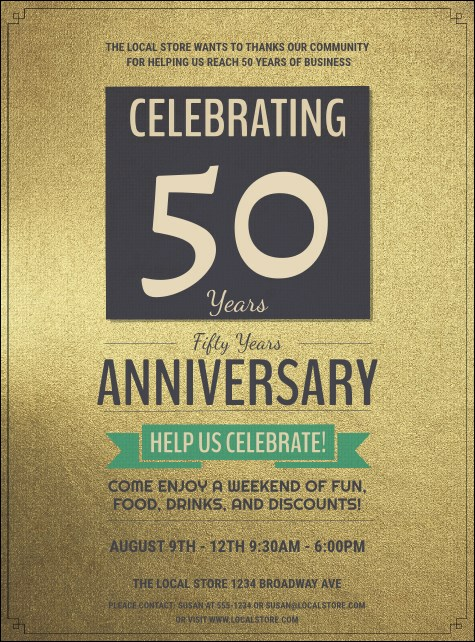 Dazzle your guests and distribute the 50th Anniversary Flyer before your big celebration. Lustrous gold glimmers on this template, with event details in lovely navy text. This design works for both marriage and business celebrations. Distribute to family and friends or leave with supporting businesses.